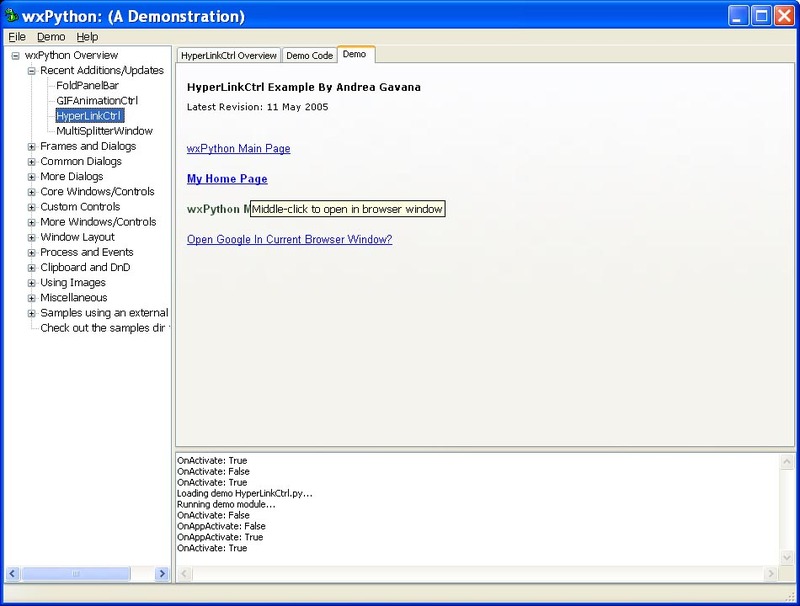 HyperLinkCtrl is a Python class that uses wxPython GUI front-end. 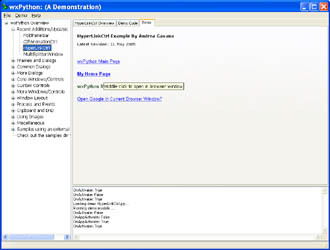 It has been integrated into the standard wxPython library distribution since version 2.6.0.1, dated 30 May 2005. 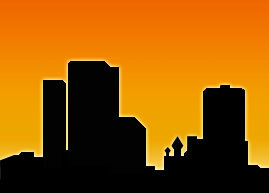 This class is very useful when you wish to simulate an hyperlink inside a panel, a window or a frame. Note: The original idea comes from Angelo Mandato, that has written the C++ code for the wxWidgets library. I have simply translated the code into pure Python implementation.